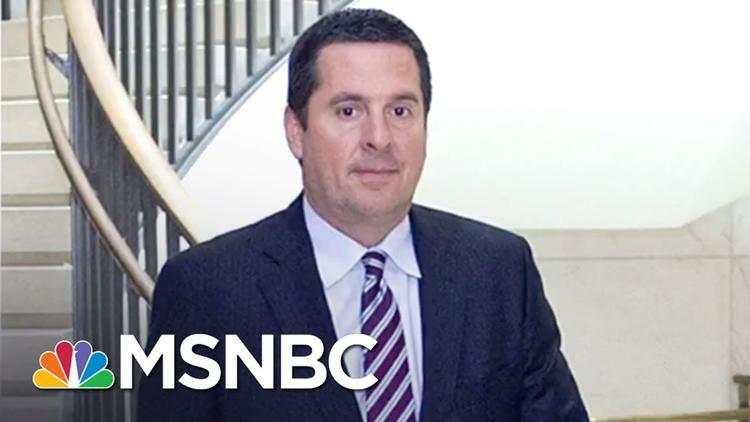 The release of the Nunes Memo, yet another attempt to discredit and even derail the Mueller investigation into the Trump-Russia connection, may or may not be historically significant. James Comey’s recent tweet message about it included this line: “Not a lot of streets or schools are named for Joe McCarthy.” Instead, the “good people will stand up” and ultimately triumph over the “weasels and liars.” This reference to McCarthy reminded me of Margaret Chase Smith, whose bold speech in 1950 foreshadowed the Senate’s censure of him four years later. This Declaration of Conscience contains prophetic words that could guide us through this troubled period that may result in a constitutional crisis. More than one commentator has noted the parallels between Joseph McCarthy, the senator who led the House Un-American Activities Committee, and Donald Trump, the man who started his political career by appealing to the birther crowd (i.e., insisting that Obama was a secret Muslim/Kenyan/socialist who had a fake birth certificate.) McCarthy had tapped into the fears of many Americans about a foreign hostile power—the Communists. Trump and his allies also try to escalate the fear of foreigners, whether Mexican gangs or Muslim terrorists. Both men also exemplify the “paranoid style of American politics” as described by Richard Hofstadter. McCarthy, for example, stated that the U.S. government was infiltrated by secret Communists—“the product of a great conspiracy on a scale so immense as to dwarf any previous such venture in the history of man.” and “A conspiracy of infamy so black…” Meanwhile, Trump states the “deep state” is out to get him as if lifelong Republicans such as Mueller and Rosenstein were covert agents for Clinton. This paranoia appears to justify a vindictive and destructive attempt to not just to defeat but annihilate an opponent. Smith’s Declaration of Conscience, then, is strikingly relevant for today’s political turmoil. This speech is remarkable not only because it was Smith’s first one in the Senate, but that she was the first woman elected to the Senate. She could have chosen a safer topic such as domestic spending. As an outsider who had faced fierce resistance from those outraged by a woman even running for the Senate, she risked her political career with this speech. Only a few months after McCarthy started his crusade against Communist spies in the government, Smith stood up to him on the Senate floor. Her words resonate today, words about “a national feeling of fear and frustration that could result in national suicide and the end of everything that we Americans hold dear. It is a condition that comes from the lack of effective leadership in either the legislative branch or the executive branch of our Government.” In 1950, Smith was concerned about the government’s complaisant acceptance of McCarthy. In 2018, many Americans are just as concerned about the Republican Congressional leaders’ acquiescence to Trump. Her reminder of the four “Americanisms” that she cherished also deserve attention. “The right to criticize” is at risk today with Trump encouraging Americans to consider valid news outlets as “fake news.” Another Americanism, the right to protest, was under threat in situations during theforcible removal of protesters speaking out against cuts to health care spending. When Capitol police recently removed several persons with severe disabilities from the hallways, the politicians had denied these citizens their right to protest. Also, the right to hold unpopular beliefs must be upheld in these tumultuous times. In the early 1950s, it was dangerous to argue against the status quo because the labels of “Communist” or “Fascist” held so much destructive power. Now when pro-choice advocates face constant threats and mayors of sanctuary cities might face prison time, the consequences for holding unpopular beliefs can still be drastic. Perhaps the most important Americanism, though, is the right of independent thought. Smith condemned the use of character assassination against those seen as disloyal to the U.S. During the bitter disputes over the Nunes memo and other controversies, smearing the opponent has become a common practice. The attempted character assassinations of FBI officials are a disturbing echo of McCarthy’s attacks on nonconformists. Smith’s courageous stance against McCarthy also inspires me because she spoke against a fellow Republican. In this case, party loyalty did not matter to her because she saw too well the peril of McCarthy’s behavior: “Today our country is being psychologically divided by the confusion and the suspicions that are bred in the United States Senate to spread like cancerous tentacles of ‘know nothing, suspect everything’ attitudes.” Only six fellow senators signed her Declaration of Conscience. Hopefully, more than six Republicans will step up in 2018 with their own Declaration of Conscience—a new declaration that our country desperately needs.